Sometimes it just makes better sense to take advantage of the different types of car loans in Lynnwood rather than paying a large amount of cash up front for a vehicle. Financing can be helpful to keep your available funds ready in case of an unexpected emergency like an illness or other calamity. Depending upon your specific financial situation, you may be able to secure one of the many low interest auto loans with any credit. Approval is usually quick and the loan process easy to complete. A number of companies even have loans applications online. Save even more money by buying a pre-owned vehicle that is on the lower end of the price spectrum and by applying a larger down payment. The less you must finance saves cash over the term of the loan. The longer your loan (24, 36, 60 months, etc. ), the more you will pay in interest so keep that in mind when meeting with the financial officer at the dealership. A large part of your purchasing decision will depend upon your budget and your transportation needs. It is extremely important to evaluate your current monthly expenditures for food, housing and other necessities and add in costs for auto insurance, fuel and maintenance services. 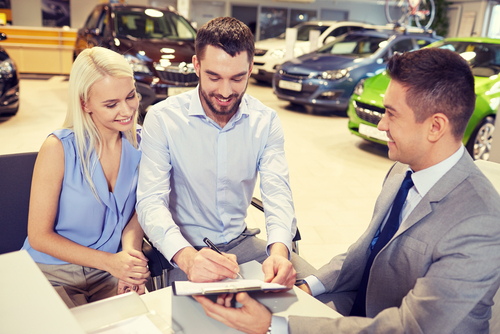 Speak with a knowledgeable member of the professional sales team at Carson Cars about car loans in Lynnwood at the dealership or give us a call at (855)583-9356. We always have a varied selection of pre-owned vehicles at our disposal and numerous options for affordable financing.